In a medium saucepan, whisk together all ingredients until well combined. Heat over medium-high heat, stirring constantly, just until the mixture thickens. Allow to cool slightly before serving. If desired, add white rum or sake instead of water for extra boozy fun and a kick of liquor flavor. If you love to make takeout-inspired dishes at home, you simply can’t do without this sweet chili sauce. It’s a spicy version of sweet-and-sour sauce and the best part is, you probably have the majority of the ingredients already in your kitchen, so it’s cheaper than buying a bottle from the grocery store! Use them on spring rolls, satays, or these Thai-style chicken nuggets. 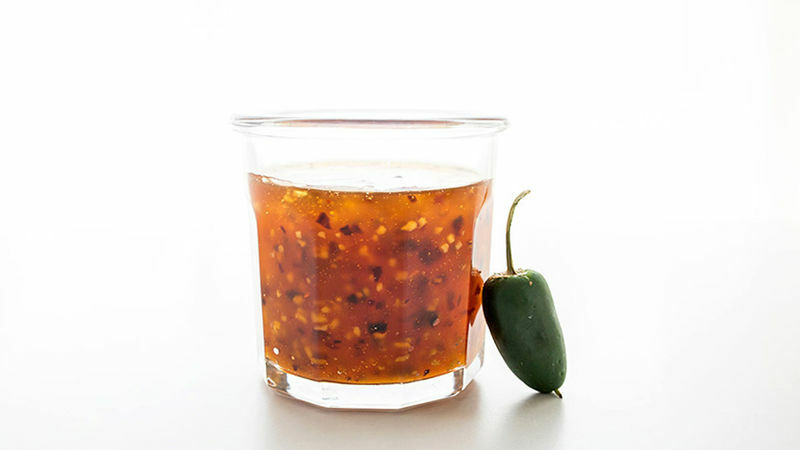 This sweet chili sauce is not only a tasty addition to dinner, but it’s totally party-ready, too! Set it out for a sweet-heat dip.